Larry Dean is a young award-winning Glaswegian comedian. Deans comedy career kicked off back in 2008, soon after which he made a fulltime career choice. At the age of just 23 he gained the honours of Scottish Comedian of the Year, and his star has continued to rise. 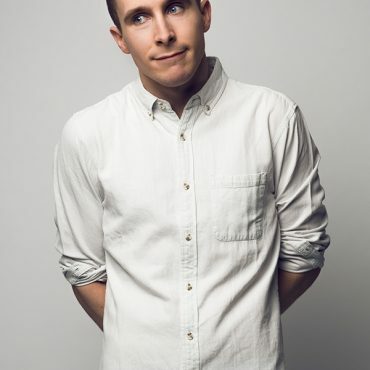 In 2015 his first Edinburgh show ‘ Out Now’ received critical acclaim and received a nomination for Foster’s Comedy Award for Best Newcomer. In January of the same year Larry took his show to the London Soho Theatre and then onto the Melbourne Comedy Festival in Australia. Most recently in 2017 Deans most recent show ‘Fandan’ achieved a sold –out run at the festival and was one of the British Comedy Guide’s Top 10 Best Reviewed Shows that year. In 2017 Larry made his TV debut appearing on ‘live at The Apollo’. He has also supported Eddie Izzard on Tour.